“The early bird gets the worm” may be an old adage but it rings especially true in today’s housing market, which is proving to be the strongest and healthiest since the recession. In other words, don’t delay your home-buying decision. Buy now before interest rates continue to climb, while home prices are relatively affordable and while inventory is still plentiful. And with our nation’s unemployment rate at an 18-year low according to recent reports, it’s no wonder more people are buying homes. “There isn’t a better time to invest in a home than right now, because even with interest rates slowly climbing, prices are still affordable,” said Uri Vaknin, a partner at KRE Capital LLC, whose company, in partnership with Dune Real Estate Partners, purchased a collection of high-rise communities in Las Vegas as DK Las Vegas in 2013. “Relatively low interest rates and affordable home prices, when coupled with our country’s best mortgage financing programs now offered at our Las Vegas condo communities, home ownership is a reality for many people who previously did not qualify for a mortgage,” Vaknin. According to a Las Vegas Review-Journal article covering a recently released report from the Greater Las Vegas Association of Realtors (GLVAR), Las Vegas house prices are up nearly 13 percent from this time last year, but inventory is well below last year’s available homes – evidence the demand for buying a home in the valley is stronger than ever. Data today reaffirms the upward movement in home prices, mortgage rates, homebuyer demand and home seller profits. Take for instance S&P CoreLogic Case-Shiller recently released report that looked closely at real estate industry trends in 20 cities across the nation. It revealed the home price index in those cities moved up 6.6 percent from a year earlier, led by outsize gains in Seattle, San Francisco and our own hometown, Las Vegas. All three cities showed double-digit increases, with Las Vegas showing the second highest increase at 12.7 percent. GLVAR’s recent report also revealed that condos and townhome prices are rising at a much faster clip than single-family homes, further proof the idea of living in a condominium community is becoming more appealing to those looking to buy their next home. According to GLVAR, “in May, 91.4 percent of all existing local condos and townhomes sold within 60 days,” a near four percent increase compared to this time last year. 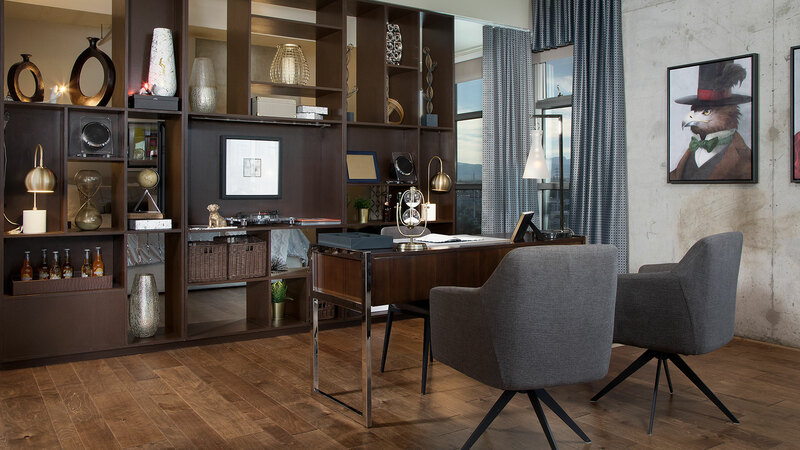 DK Las Vegas’ portfolio includes best-selling condominium communities such as The Ogden and Juhl in downtown Las Vegas and One Las Vegas at the south end of Las Vegas Boulevard. Historically, condo buyers in Las Vegas had to either pay cash or make a down payment as much as 50 percent of the purchase price because banks were not willing to finance condo purchases, but Vaknin made it his mission from day one to change that. And because of Southern Nevada’s superior quality of life, affordability, access to the Strip’s world-class amenities, a favorable tax environment and moderate year-round climate, the valley is one of the country’s most desirable places to live.